Helps the body offset acidity and maintain pH levels. 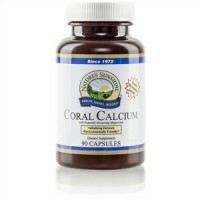 Provides essential calcium to help maintain strong bones and teeth. Is sourced in an environmentally friendly way. 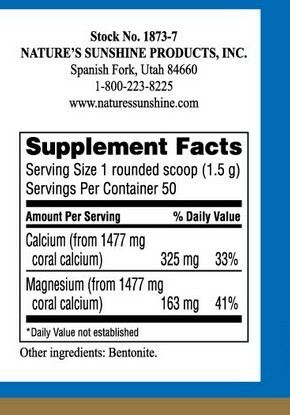 Provides 325 mg calcium per serving. Many people-especially elderly men and women, middle-aged women, persons with a family history of osteoporosis and white and Asian women ages 11 to 35-can benefit from proper calcium intake. 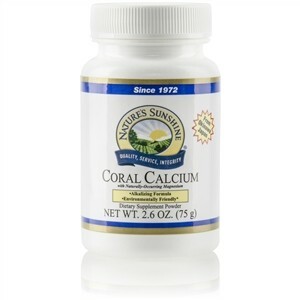 Scientific studies show that regular exercise and a healthy diet with adequate dietary minerals, such as those contained in Coral Calcium, can promote bone integrity and health. Calcium works to increase bone mineral density during skeletal growth and may help prevent bone loss and its subsequent risks in the elderly and in postmenopausal women. In addition to bone-strengthening benefits, Coral Calcium works to maintain balanced pH levels in the body. Magnesium benefits bone health by increasing bone mineralization and enhancing the sensitivity of target tissues, including bone. Studies reveal an association between poor calcium and magnesium absorption and the loss of bone density. Magnesium helps the body to better absorb and utilize calcium. Minerals in Coral Calcium are believed to be well-absorbed due to the changes in the mineral complex after being digested by coral. Montmorillonite is natural clay that comes from volcanic ash. It is excellent for adsorbing impurities and cleansing the digestive tract. In the body, it is neither digested nor absorbed, so it is easily eliminated from the digestive tract through the feces, taking adsorbed impurities with it. Montmorillonite has detoxifying, emulsifying, cleansing and toning properties. Plus it contains at least 65 trace minerals. Mix one rounded scoop (included) in 8 oz. of water or other beverage.